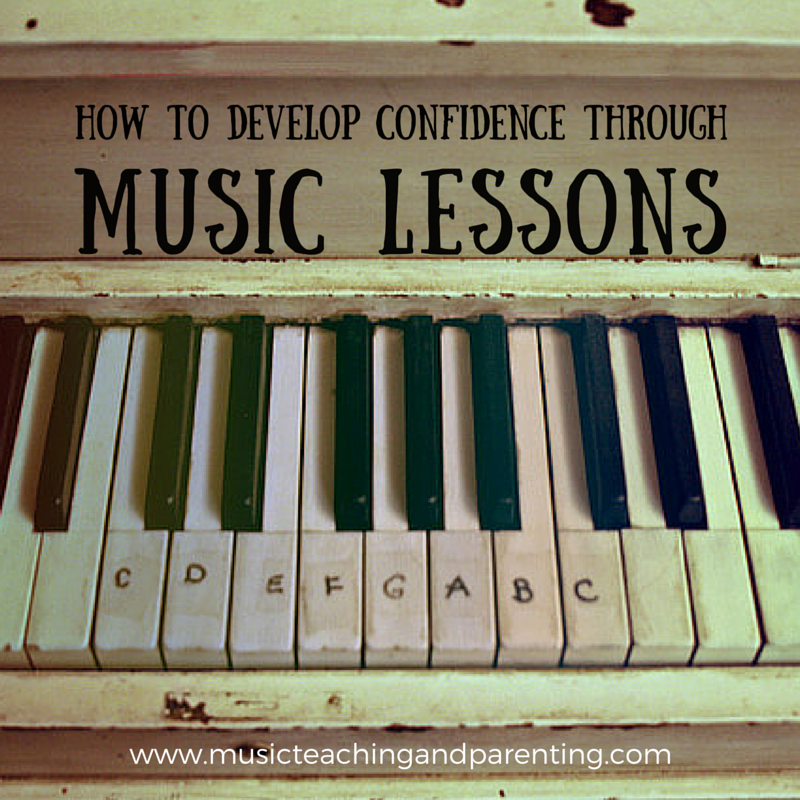 In my career as a music teacher I have worked with many children who experience lack of confidence to either interact with others or perform music for others. As anything else, this is a skill that needs to be developed with lots of patience, understanding and positive guidance. It is possible! Music parents, keep on reading! Music can be a great vehicle of building confidence in a child. Yet, many of the ideas I have used for music lessons also work with general parenting and are not isolated to music. With lots of care and the right guidance, your child can develop the ability to be confident when presenting in front of people. This is such a important skill they will need in many areas in life. As a parent, you need to be patient every step of the way! Your child will need to receive lots of encouragement and no judgement! Appreciate your child every time they show the courage to play in front of others. Expose your child to the possibility of performing for others early. Start with family concerts where the child is put in a safe environment. Start small and build it until your child is ready for longer performances. This could even be done with the youngest students; they could present their rest position, their feet position, etc. It is important that these home concerts start early, the child feels safe, and are done consistently! Make sure your child gets lots of recognition on the performances. Focus on your child’s character, and not on the way the child performs. Congratulate your child on the confidence to perform for others. Don’t “protect” your child by having them miss opportunities to perform and be in front of people! This will only deepen their fear of performing for others! Don’t wait until they are ready with repertoire to have them perform! The focus needs to be on creating confidence in front of others, and not on what they present. After your child feels confident playing for family members, invite family friends and ask them to hear your child play. outside their home, but where they would still feel supported. This could be done during “show and tell” in school, during another after school activity, etc. no, be respectful of their feelings. Simply come back to the same question in six months or a year. In order to develop confidence with speaking in front of people I also ask my students to introduce their names and the pieces they are going to perform. If a student feels shy, I start by doing it for them and patiently wait until they tell me they are ready to introduce themselves! I have a few students who have gone through a similar process. They are now involved performing in many different events! And they are confident doing it! The experience with them have made me certain of the positive effects on music over children’s confidence. It has also provided me with the steps needed to achieve that. Children develop differently. This process may vary from child to another. If you feel that you need to discuss a specific situation, please feel free to leave a comment on this blog or contact me directly.